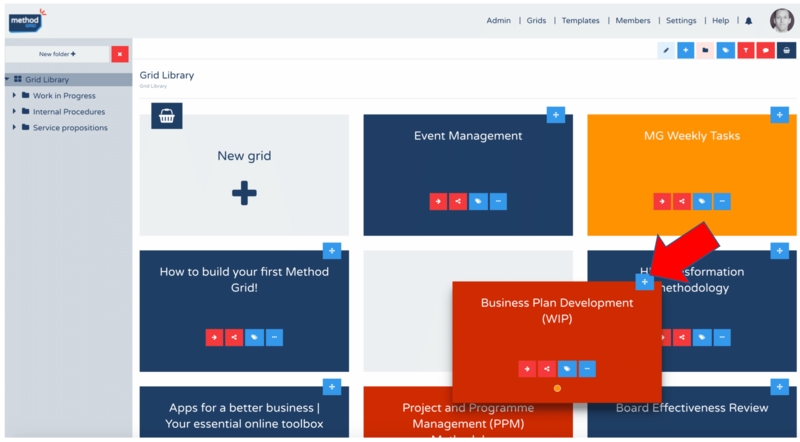 This blog announces a significant new feature to your Method Grid platform: the introduction of grid folders (and a whole suite of related new functions). This new feature request has been on our decks for a while now. Well, firstly, bear in mind that some of our early beta community users have been with us for coming on for two years now. We have observed such users from their tentative first-steps building their inaugural grids to – rapidly – becoming super-users. Before you know it, multiple members of an account team become familiar with the platform and harness it to bring all sorts of aspects of their business to life – service methodology, staff induction, operational procedures etc. It wasn’t long before the grid libraries of such accounts became somewhat congested. As such, it was only a matter of time before we started hearing the regular request of “can you please introduce grid folders – so we can better organise our growing library of grids”. As we discussed in our new feature roadmap blog this was, therefore, something we wanted to address quite urgently. 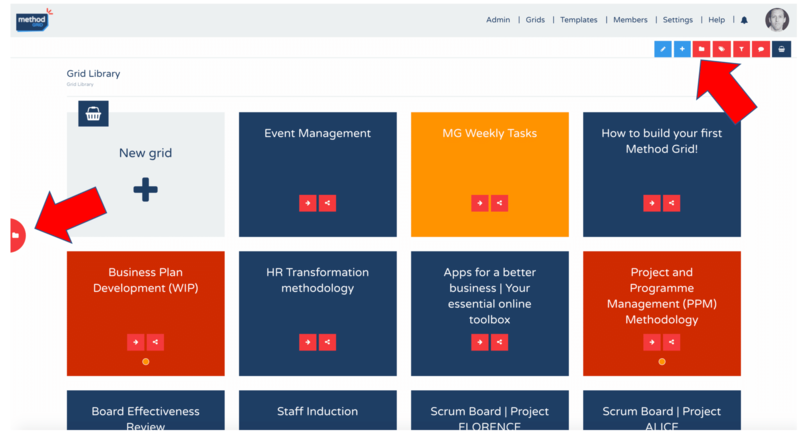 So, here you have it … you can now organise your grids into hierarchal grid folders. What new (related) features have we introduced? 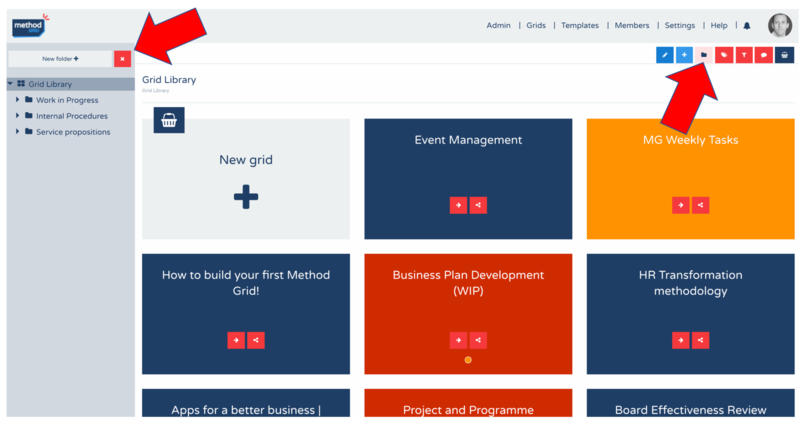 By default, when you now enter your grid library you will see the open grid folder pane over to the left of the page. On first entering you will just see the root “Grid Library” folder. You can close this pane by clicking the close action button at the top of this pane – or – by clicking the folder action button in the action button bar (top right of page). The grid folder pane can be opened again by clicking on the red tab to far left of the page – or – by clicking the folder action button in the action button bar (top right of page). With this release also comes the ability (for architects and builders) to move the display order of grids within a folder. To rearrange your grid presentation you need to be in edit mode (pencil action button), then you simply drag-and-drop (left mouse click hold on the crosshairs button) the grid to a new location. An architect or builder can add a new folder by clicking “New folder +” at the top of the grid folder pane. This will add a new folder to the bottom of the currently selected folder. An architect or builder can rename a folder, by simply opening it (clicking on it) and then, in edit mode, clicking inline into the folder title at the top of the page. An architect or builder can delete a grid folder by firstly opening up the folder you want to delete and then clicking the delete (trashcan) action button in the action button bar. This will reveal a dropdown with two clickable options: to delete just the folder (any contained grids are moved to the home/root page) – or – to delete the folder and all of its constituent grids (take care!). Architects and builders can easily move folders to either rearrange their order of appearance or to move them to a new place in the folder hierarchy. To move a folder, in edit mode, you simply drag-and-drop (left hand mouse click) the folder from within the folder pane and move it to the desired new position. A recipient folder area turns blue as you hover over it. Folders can be opened by simply clicking on the folder name in the folder panel. The folder you are in (with the full folder-structure “breadcrumb”) is displayed at the top of your page. To expand a folder (to reveal its sub-folders), simply click on the right-facing arrow to the left of the folder name (in folder pane). To collapse a folder, simply click on the down-facing arrow to the left of the folder name (in folder pane). 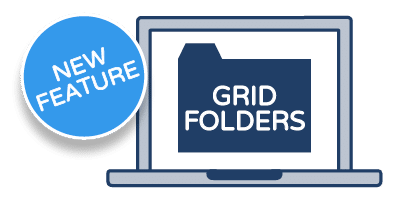 We have upgraded the grid filter function to work with this new folders release. Now you can select whether you wish the filter logic to apply to the specific folder you are in – or – across the entirety of your domain. You will also notice that grids displayed in a filter view can be, subsequently, moved to a new folder by dragging-and-dropping them into a revealed folder in the left-hand folder pane. As always, please let us know what you think of this new release – and – of course, please keep all suggestions for sought-after new features coming. Next up, the development team are turning to a Search function – such that you can quickly retrieve a key knowledge artefact in your Method Grid domain. Tom Knights is a co-founder of Method Grid (a platform on which to design, build and share your methodologies and procedures). Tom is a graphic designer and has always had a passion for art and design. He tries to use design to engage, inspire and educate across all forms of media.